ABOUT THE ARTIST Ike Mbamali is primarily a teacher and preacher of the Gospel of Jesus Christ. He is also a singer and composer as well as attorney at law admitted to practice in the State of New York (1993), as well as in the Nation of Nigeria (1987). His first song, "Lord I glorify Your name" was composed in August 2004 and to date he has composed a total of twenty five songs in a multiplicity of musical styles. 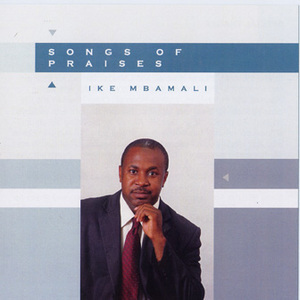 Ike Mbamali is primarily a teacher and preacher of the Gospel of Jesus Christ. He is also a singer and composer as well as attorney at law admitted to practice in the State of New York (1993), as well as in the Nation of Nigeria (1987). His first song, "Lord I glorify Your name" was composed in August 2004 and to date he has composed a total of twenty five songs in a multiplicity of musical styles. He is not a "great singer" in the conventional sense, but he sings with the same unmistakable anointing that inhabits and accompanies his teaching and preaching.As such he is being used as God's Instrument(G.I. ), to share the truths of the Gospel in word and song with simplicity, effectiveness and great power. Two outstanding singers, Trecia Gordon and Minerva Slader are featured as lead singers in some of the songs on this CD and their heartfelt ministry of song will prove to be of great blessing to audiences everywhere.